Dr. Chow is a world-renowned Qigong Grandmaster energy healer, acupuncturist, author, international speaker, Humanitarian, Futurist, and Visionary. In July 2000, she was appointed by President Clinton to the original 15 member White House Commission on Complementary and Alternative Medicine Policy. She wielded the female influence in the world at a time when it was mostly only talked about. Recipient of the “Visionary of the Year 1997” “The Humanitarian of the Year 1999” and “The Visionary of the Decade 2000” Awards, Dr. Effie Poy Yew Chow has for over 40 years been working to integrate Qigong and Traditional Chinese Medicine (TCM) with Western Medicine. “Giving individuals the power to determine and manage their own health and destinies is the secret of true healing” is her motto. Toward this goal, she founded the East West Academy of Healing Arts (EWAHA) in 1973 in San Francisco. In 1988 an arm of that organization, The EWAHA Qigong Institute, was established within EWAHA to promote research and clinical work in medical Qigong. Clients come from all parts of the world to consult with Dr. Chow. She travels internationally to see clients, give seminars and train practitioners to audiences up to 10,000 people in one event. She has personally made presentations to over 700,000 people of all cultures, and to more than 1,000 corporations, including Fortune 500 companies, hospitals, health clinics, universities, and governmental agencies. At the Stanford Medical Center she was a research nurse in the pioneering arenas of kidney transplant, sleep and dream analysis, Dr. Shumway’s mitral valve procedure, morbid obesity, role of DNA in cancer. Dr. Chow has a Ph.D. in higher education, and a master’s degree in behavioral sciences and communication. She is a registered public health and psychiatric nurse and Qigong Grandmaster with over 40 years’ experience. She is a National Diplomat in Acupuncture (NCCAOM) and a California-licensed acupuncturist since 1977. She is the only Qigong Grandmaster-Nurse-Acupuncturist in North America who has been active in the development of national health policies within the U.S. Department of Health and Human Services (DHHS) in the field of cultural diversity, alternative and ethno-medicine. Dr. Chow was recognized for her expertise in the field of alternative medicine, Qigong and TCM through an appointment to the first Ad Hoc Advisory Panel of the Congress-mandated Office of Alternative Medicine (now the NCCAM) at the National Institutes of Health (research Division of DHHS) in Bethesda, Maryland. “Building Bridges of Integration for Traditional Chinese Medicine 2004 Award” from the World Foundation of Traditional Chinese Medicine. “Visionary of the Year” Award, from the Second World Congress on Qigong, 1997. The City and County of San Francisco proclaimed November 22nd as “Dr. Effie Poy Yew Chow Day”, and November 20th-26th as “Qigong Week”, 1997. “The President’s Citation Award” of the American Assoc. for Acupuncture and Oriental Medicine, 1989. Distinguished Award from the National Society of Acupuncturists of the Republic of China, 1988. Distinguished Award: Ministry of Health, Department of Occupational Health, Republic of China, 1988. The American Nurses’ Association (ANA) Award for Women’s Honors in Public Service. Award in Entrepreneurship, given by the Human Rights and Minority Fellowship of ANA, 1988. Outstanding Service Award towards the recognition, advancement and acceptance of the Science of Acupuncture in the United States of America, given by the National Acupuncture Association. Listed in “Women’s Who’s Who of the World”. “The Woman Warrior Award” from the Pacific Asian American Women’s Bay Area Coalition. Dr. Chow is founder and president of East West Academy of Healing Arts, American Qigong Association and World Qigong Federation. 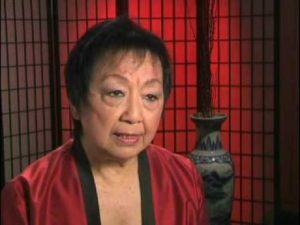 Qigong Grandmaster Effie Chow is the founder of the annual World Congress on Qigong and Traditional Chinese Medicine. Charles T. McGee, MD and Effie Poy Yew Chow, PhD have co-authored a book “Miracle Healing From China…QIGONG” (MediPress, Coeur d’Alene, Idaho, 1994). Chow Qigong System videotapes/DVDs: vol.1 “Qigong Basics and Exercises”; vol.2 “Qi PressureTM”, and a meditation CD are available. Dr. Chow is available to present programs and consult with individual clients worldwide. Recently, PBS-TV produced a half hour show on Dr. Chow: http://www.youtube.com/watch?v=_pLL-Y4aDbo&feature=related (5 Segments). As did Retirement Living Television.